The PushBullet team introduced a regularly requested and incredibly powerful feature this morning to their popular Android-Chrome app combo service. 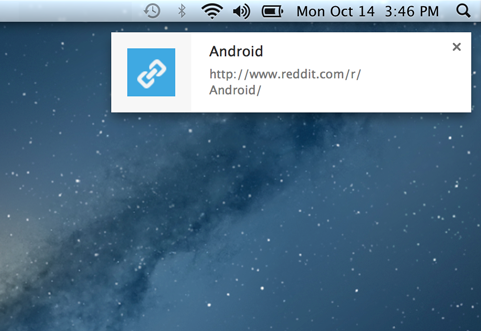 Users of PushBullet can now push directly to Chrome from their Android devices. In the past, you could push files, notes, pictures, lists, and links from Chrome to device or from device to device, but nothing from device back to Chrome. How awesome is that? So now, if you have a picture or saved file or note or list on a tablet or phone, you can push those on over to your Chrome browser in a matter of seconds. Once sent, you should see a notification pop up (pictured below) that is clickable. Should you click on it, you’ll find that links open a tab, addresses go right to Google Maps, pictures open, and files are easy to download. In order to enable this new feature, you’ll need to update your Android app and also grab the latest version of the PushBullet Chrome extension. We have links for both below. That’s not all, though. 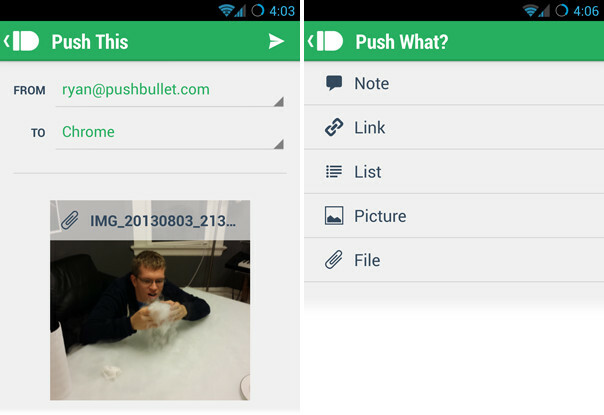 The PushBullet app can now push pictures and files easier, and also lists.